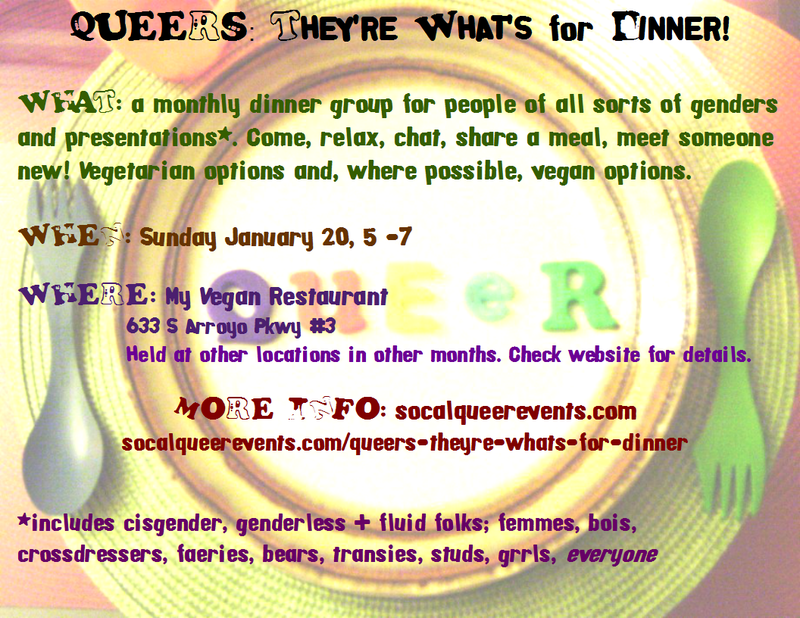 In case you haven’t noticed our link off to the right, there’s a monthly gender-diverse dinner that’s held in LA area. This month’s dinner will be in Pasadena. All are welcome!